Personally, I've booked multiple cheap vacation packages over the years. One time, I went to Toronto, Canada for a last-minute long weekend where we stayed in a 3-star hotel and got a nonstop, round-trip plane ticket for $300 — less than the cost of any multi-stop ticket without the hotel. Another time, I traveled to Vienna, Austria for a week by booking a cheap vacation package — we stayed in a fancy 4-star hotel (they had a bowl of free mini-Toblerone chocolates in the lobby!) and got flights on a stellar foreign airline for about $500. Perhaps the best deal of all the vacation packages I've purchased was a round-trip ticket to Hurghada, Egypt (a resort town on the red sea) plus a week in a 3-star resort, with two meals a day for $330. How did I do this? Here are my cardinal rules for how to book a cheap vacation package, followed by an easy three-step process. For the greatest savings on your vacation package, use these nine tips to guide you through the booking process. The best vacation deals I've found have always been last-minute trips. However, my trip to Vienna was planned about nine months in advance. 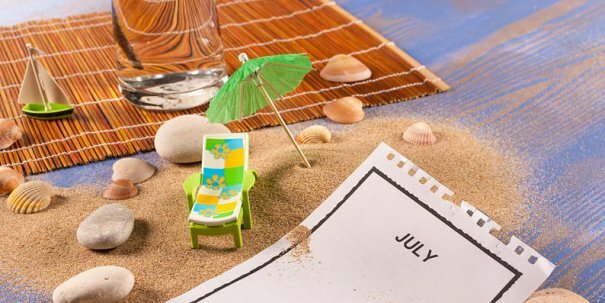 You are best off planning more than three months in advance (four for summer travel) or less than two weeks. Planning a trip in only two weeks may sound scary — but you can block off the dates now and choose the destination later! Most vacation packages typically include flights and hotel. Some also include a rental car, admission passes to a nearby attraction, or all-inclusive meals. It's best to be flexible on the amenities you want — you can always opt to not use the tickets or to find a rental car on your own. The majority of vacation packages are priced per person for two people. If you are traveling by yourself, you'll likely see a surcharge. 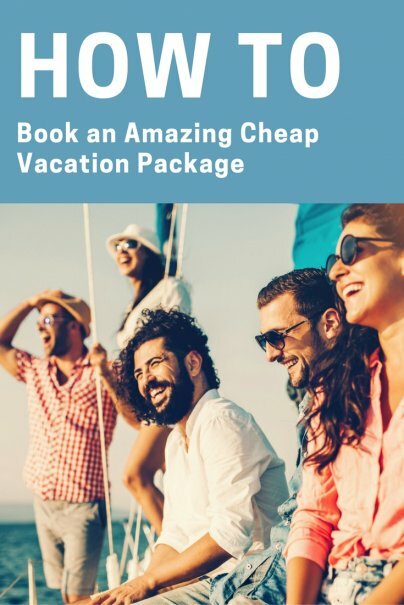 Some packages charge less per person when there are three or four people all booking together (usually sharing one room). The best vacation packages are priced from major airport hubs like LA, NYC, DC, and Chicago. Some companies will only let you book from these hubs. Other companies will add a surcharge for smaller airports. If you're getting a surcharge added for your airport, consider booking this flight separately by checking to see if you could get a better price on your own. Just be forewarned that if something goes wrong with your first flight to the hub, you may be left in a lurch. So plan to arrive extra early or buy travel insurance. The $330 steal to Egypt that I snagged? That was flying round-trip from Moscow. (Hurghada happens to be a hotspot for Russians.) 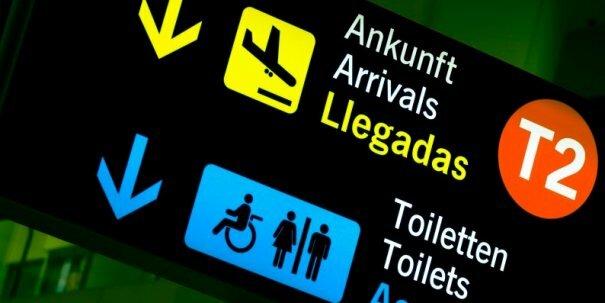 When I traveled in Germany I noticed some amazing prices on vacation packages to foreign countries. So, if you're lucky enough to have the flexibility to spend more time traveling — once you get to your first foreign destination, head to a travel agency and ask where the best vacation packages are to determine your next stop. Now that you know the tips, you're ready to start actually searching for a vacation package. First, look through the tips above and make some decisions about dates, places, people, budget, etc. As I mentioned, the more flexible you are the cheaper vacation package you'll get; but note that you'll also spend more time searching for packages. Before you know that you're getting a cheap vacation package, you need to get a baseline price to compare the vacation package to. I recommend choosing you favorite travel search engine (I like Kayak) and entering a flexible date search for your city to the location you're considering and first get a baseline sense of what airline tickets cost. Next, use the search engine's hotel function and see the approximate cost of a hotel for a stay of your length. For instance, if the cheapest fares you are finding are $500, and the hotel for a week's stay is $600, you'll know that a vacation package that's less than $1100 is a good deal. CheapTickets similarly has packages based on theme and destination. Pick up the travel section of your local paper — as some of the best deals on packages from your local airport will be listed in your local paper with a local travel agent. Try Groupon Getaways. Groupon for travel is new, and I haven't tried it, but based on what I've seen there are some great deals through a partnership with Expedia. Finally, the traditional online travel agencies Orbitz, Expedia, and Travelocity all have good deals, though the sites are easier to navigate if you have a set location and dates. Lastly, don't forget Wise Bread's awesome list of Travel Resources. Have you ever booked a vacation package? What was your experience? We have been looking at some of the deals that you get from Groupon and Living Social. They seem to have some pretty awesome deals. We're in the info gathering stage since the trip we want to take (our five year anniversary) is still 10 months away, but it seems like there is potential opportunity there for cheap packages if you can make the deal work to fit your needs. This was very helpful! Planning a trip now and I want to save lots of money! i planned a recent vacation to Europe with a holiday company called Travelopod. Was able to save some bucks vs bigger players like expedia. But definitely i wish I had read these tips too :( would have saved so much more! Very good article, all this stuff works lol whenever i travel i always invite a big group of people so its cheaper, we went on cheaptravelsrate.com got a great deal for our annual caribbean trip ! Save that money people !!! Searching for cheap vacations with less planning? How about low-priced vacation packages right at your fingertips? stop pairing flights with hotels and car rentals the more expensive way. 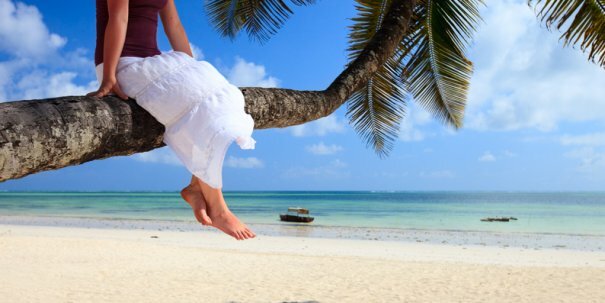 Booking vacation packages all at once from one place can save you time and hassle. Great Tips… I was looking for something like this only and I found it. You have explained all these tips so much in detail that it has now made it so easy for me to plan and get a cheap vacation package for me.